En ny kanal har startet: Nickelodeon HD (England) i DVB-S2 on 11881.00MHz, pol.L SR:27500 FEC:3/4 SID:37005 PID:3751[MPEG-4]/3752 Russian,3753 Russian - DRE-Crypt & DVB Scrambling. Digitürk: Nickelodeon HD is back on 10803.75MHz, pol.V SR:29900 FEC:3/4 SID:2596 after a break ( PID:2498[MPEG-4]/3501 Turkish,3502 original audio - Irdeto 2). Digitürk: Nickelodeon HD is back on 10803.75MHz, pol.V SR:29900 FEC:3/4 SID:2506 after a break ( PID:2498[MPEG-4]/3501 Turkish,3502 original audio - Irdeto 2). MTV Networks: En ny kanal har startet: Nickelodeon HD (England) i DVB-S on 11739.00MHz, pol.V SR:27500 FEC:3/4 SID:28651 PID:3011[MPEG-4]/3012 Turkish,3013 England,3014 Russian,3015 Croatian - FTA. Cyfrowy Polsat & MTV Networks & NC+ & Orange Polska & Viasat Ukraine: Nickelodeon HD is back on 11474.00MHz, pol.V SR:27500 FEC:5/6 SID:14 after a break ( PID:2141[MPEG-4] /2142 Turkish,2143 England,2144 Polish,2145 Russian - Conax & Mediaguard 3 & Nagravision 3 & VeriMatrix & Viaccess 3.0 & Viaccess 5.0 & VideoGuard). Cyfrowy Polsat & MTV Networks & NC+ & Orange Polska & Viasat Ukraine: Nickelodeon HD is back on 11474.00MHz, pol.V SR:27500 FEC:5/6 SID:14 after a break ( PID:2141[MPEG-4]/2142 Turkish,2143 England,2144 Polish,2145 Russian,2146 Croatian - Conax & Mediaguard 3 & Nagravision 3 & VeriMatrix & Viaccess 3.0 & Viaccess 5.0 & VideoGuard). Cyfrowy Polsat & MTV Networks & NC+ & Orange Polska & Viasat Ukraine: En ny kanal har startet: Nickelodeon HD (England) i DVB-S2 on 11474.00MHz, pol.V SR:27500 FEC:5/6 SID:14 PID:2141[MPEG-4] /2142 Turkish,2143 England,2144 Polish,2145 Russian - Conax & Mediaguard 3 & Nagravision 3 & VeriMatrix & Viaccess 3.0 & Viaccess 5.0 & VideoGuard. Cyfrowy Polsat & MTV Networks & NC+ & Orange Polska & Viasat Ukraine: Ny frekvens for Nickelodeon HD: 12015.00MHz, pol.H (DVB-S2 SR:27500 FEC:3/4 SID:14 PID:2141[MPEG-4] /2142 Turkish,2143 England,2144 Polish,2145 Russian- Conax & Mediaguard 3 & Nagravision 3 & VeriMatrix & Viaccess 3.0 & Viaccess 5.0 & VideoGuard). Digitürk: En ny kanal har startet: Nickelodeon HD (England) i DVB-S2 on 10804.00MHz, pol.H SR:30000 FEC:5/6 SID:2506 PID:2498[MPEG-4]/3501 Turkish,3502 original audio - Irdeto 2. Digitürk: Nickelodeon HD is back on 10804.00MHz, pol.H SR:30000 FEC:5/6 SID:2596 after a break ( PID:2498[MPEG-4]/3501 Turkish,3502 original audio - Irdeto 2). Cyfrowy Polsat & MTV Networks & NC+ & Viasat Ukraine: En ny kanal har startet: Nickelodeon HD (England) i DVB-S on 11075.00MHz, pol.V SR:27500 FEC:3/4 SID:14 PID:2141[MPEG-4]/2142 Turkish,2143 England,2144 Polish,2145 Russian - Conax & Mediaguard 3 & Nagravision 3 & Viaccess 5.0 & VideoGuard. Cosmote: Ny frekvens for Nickelodeon HD: 12399.00MHz, pol.H (DVB-S2 SR:27500 FEC:2/3 SID:1093 PID:493[MPEG-4] /593 Greek- VideoGuard). Viasat Ukraine: Nickelodeon HD is back on 11222.00MHz, pol.H SR:30000 FEC:5/6 SID:3010 after a break ( PID:3011[MPEG-4]/3012 Russian - VideoGuard). Viasat Ukraine: Ny frekvens for Nickelodeon HD: 11373.00MHz, pol.H (DVB-S SR:27500 FEC:2/3 SID:3010 PID:3011[MPEG-4]/3012 Russian- VideoGuard). Viasat Ukraine: En ny kanal har startet: Nickelodeon HD (England) i DVB-S on 11432.00MHz, pol.V SR:27500 FEC:2/3 SID:3010 PID:3011[MPEG-4]/3012 Russian - VideoGuard. Cyfrowy Polsat & NC+ & Orange Polska: Nickelodeon HD er nå kryptert i Conax & Irdeto 2 & Mediaguard 3 & Nagravision 3 & Viaccess 3.0 & Viaccess 5.0 & VideoGuard kode (11470.00MHz, pol.V SR:27500 FEC:5/6 SID:31 PID:1056[MPEG-4] /1059 Turkish,1060 England,1061 Polish,1062 Russian). Cyfrowy Polsat & NC+ & Orange Polska: Nickelodeon HD (England) er nå overført til fri luft (11470.00MHz, pol.V SR:27500 FEC:5/6 SID:31 PID:1056[MPEG-4] /1059 Turkish,1060 England,1061 Polish,1062 Russian). Cyfrowy Polsat & NC+ & Orange Polska: Nickelodeon HD er nå kryptert i Conax & Irdeto 2 & Mediaguard 3 & Nagravision 3 & Viaccess 3.0 & Viaccess 5.0 kode (11470.00MHz, pol.V SR:27500 FEC:5/6 SID:31 PID:1056[MPEG-4] /1059 Turkish,1060 England,1061 Polish,1062 Russian). Cosmote: Ny frekvens for Nickelodeon HD: 12380.00MHz, pol.V (DVB-S2 SR:27500 FEC:2/3 SID:1093 PID:493[MPEG-4] /593 Greek- VideoGuard). En ny kanal har startet: Nickelodeon HD (England) i DVB-S2 on 12012.00MHz, pol.V SR:30000 FEC:3/4 SID:8105 PID:1051[MPEG-4] /1052 England,1053 - Viaccess 5.0. Cosmote: Ny frekvens for Nickelodeon HD: 12149.00MHz, pol.V (DVB-S2 SR:27500 FEC:2/3 SID:1093 PID:493[MPEG-4] /593 England- VideoGuard). Digit Alb: Ny frekvens for Nickelodeon HD: 10887.00MHz, pol.H (DVB-S2 SR:30000 FEC:3/5 SID:1003 PID:2171[MPEG-4] /2172 England- Conax). Cyfra + & Cyfrowy Polsat & N & Orange Polska: Nickelodeon HD er nå kryptert i Conax & Cryptoworks & Mediaguard 3 & Nagravision 3 & Viaccess 3.0 kode (11470.00MHz, pol.V SR:27500 FEC:5/6 SID:31 PID:1056[MPEG-4] /1059 England,1060 England,1061 Polish,1062 Russian). Cyfra + & Cyfrowy Polsat & N: Nickelodeon HD er nå kryptert i Conax & Cryptoworks & Mediaguard 3 & Nagravision 3 kode (11470.00MHz, pol.V SR:27500 FEC:5/6 SID:31 PID:1056[MPEG-4] /1059 England,1060 England,1061 Polish,1062 Russian). Digit Alb: Ny SR for Nickelodeon HD on 11055.50MHz, pol.V: SR:30000 ( FEC:3/5 SID:1003 PID:2171[MPEG-4] /2172 England - Conax). 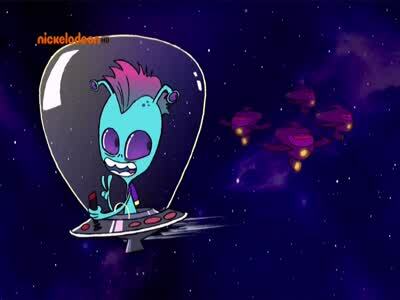 Cyfra + & Cyfrowy Polsat: Nickelodeon HD er nå kryptert i Cryptoworks & Mediaguard 3 & Nagravision 3 kode (11470.00MHz, pol.V SR:27500 FEC:5/6 SID:31 PID:1056[MPEG-4] /1059 England,1060 England,1061 Polish,1062 Russian). Cosmote: En ny kanal har startet: Nickelodeon HD (England) i DVB-S2 on 12226.00MHz, pol.V SR:27500 FEC:5/6 SID:1093 PID:493[MPEG-4] /593 England - VideoGuard. En ny kanal har startet: Nickelodeon HD (England) i DVB-S on 11470.00MHz, pol.V SR:27500 FEC:5/6 SID:31 PID:1056[MPEG-4] /1059 England,1060 England,1061 Polish,1062 Russian - Cryptoworks. Sky Digital: En ny kanal har startet: Nickelodeon HD (England) i DVB-S2 on 12090.00MHz, pol.V SR:29500 FEC:3/4 SID:3869 PID:513[MPEG-4] /641 England,661 England - VideoGuard.